Yellow twin buns hairstyle and pastel fashion with a mint jacket over a ruffle blouse, a chiffon skirt, socks over white tights, baby doll shoes, cute backpack, hair clips and cute rings. Japanese fashion college student wearing a collarless zipper jacket over an acid print top, leopard print skirt, platform boots and a see through purse. Harajuku twins in street fashion with t-shirts, jackets, oversized ripped denims, tote bags and sneakers. 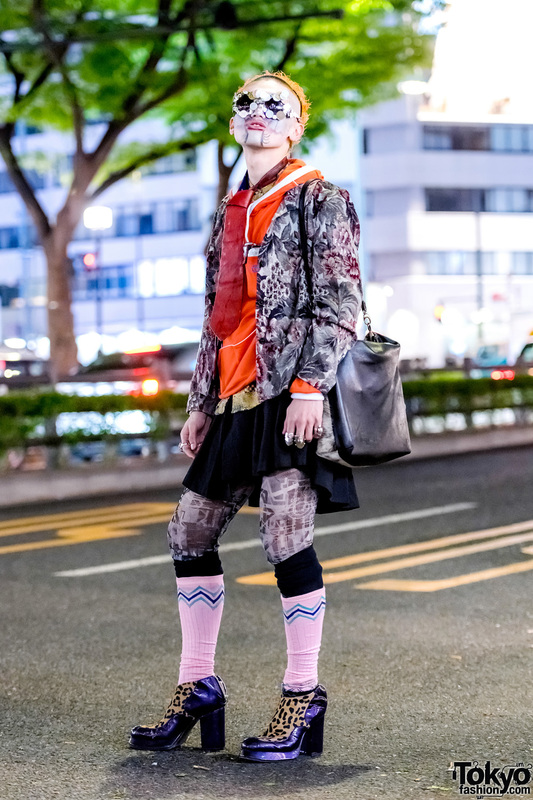 Harajuku guy in eclectic street style fashion with shorts over pants trend, printed jacket and vintage shoes.